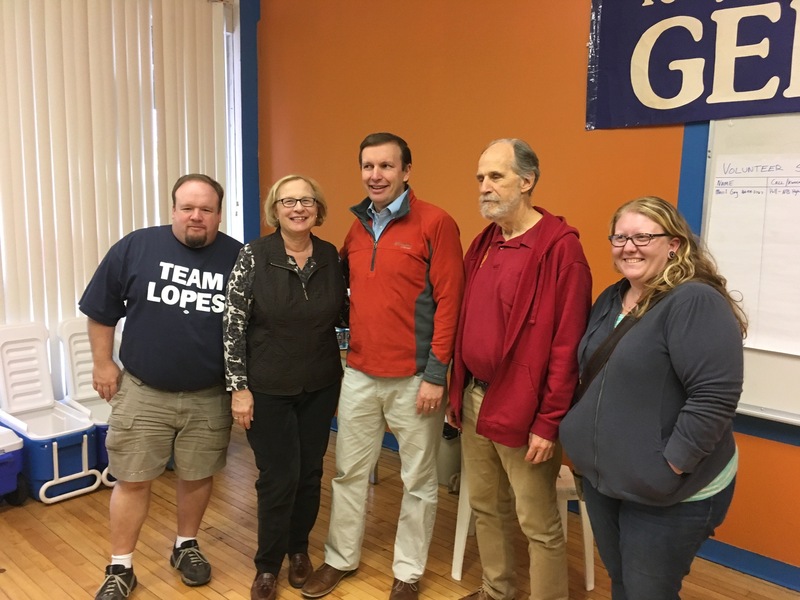 U.S, Senator Chris Murphy (D-CT) spent part of Sunday before the election in the 5th Congressional District and in New Britain campaigning for his successor, US Rep. Elizabeth Esty, and the city’s state legislative delegation. 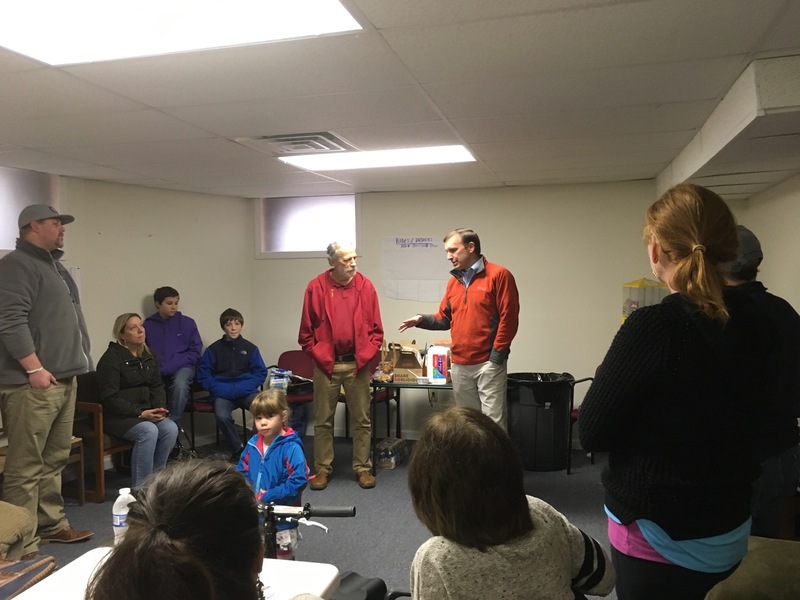 Murphy, who has been crisscrossing the country on behalf of Democratic senate candidates and Hillary Clinton, said the push for sensible legislation on guns including stronger background checks is resonating in races across the country. The CT Congressional delegation has been in the forefront in pushing for national legislation to curb gun violence. Murphy said he will spend Monday campaigning in the battleground state of New Hampshire for Clinton/Kaine and senate candidate Maggie Hassen with former U.S. Rep. Gabbie Giffords. 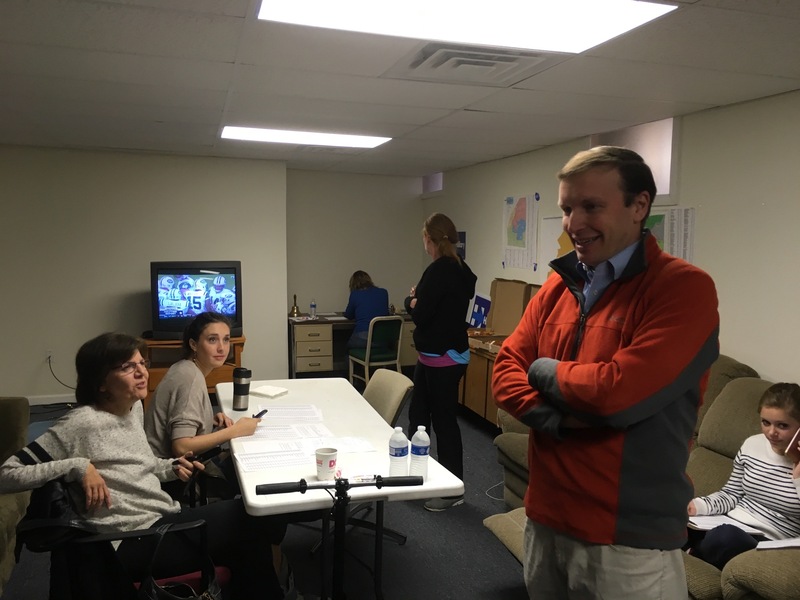 Chris Murphy visits Democrats’ New Britain headquarters . From left State Rep. Rick Lopes, State Senator Terry Gerratana, DTC Chair Bill Shortell and DTC member Katie Breslin. There are six ways to help between now and when polls close on Election Day. NOTICE – If you do not wish to receive updates from New Britain Democrats write “cancel” in the subject box and reply to newbritaindemocrat@gmail.com. newbritaindemocrat.org editor, John McNamara. 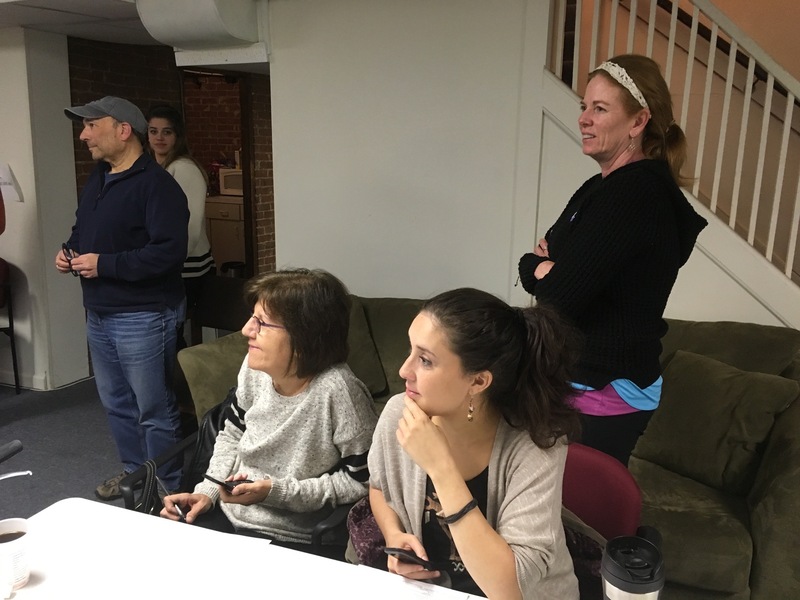 This entry was posted in Chris Murphy, Election Day, Elizabeth Esty, Presidential Politics, Rock The Vote, Weekend Update. Bookmark the permalink.